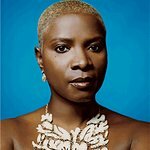 Kidjo is a UNICEF Goodwill Ambassador, and on the Board of Directors of the Batonga Foundation. 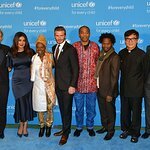 Angelique performed at a UNICEF benefit concert for the Bob Marley Youth Development Centre. She also performed at the Africa Unite concert in Addis Ababa and Live Earth in Johannesburg. In 2007, she covered John Lennon’s “Happy Christmas (War Is Over)” for the CD Instant Karma: The Amnesty International Campaign to Save Darfur. 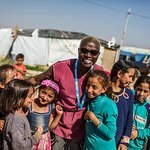 Google trends for "Angélique Kidjo"
Angelique Kidjo to girls: Change the face of Africa!